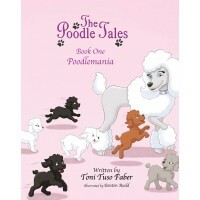 The Poodle Tales, "Poodlemania" is the first of twenty-four in a whimsical collection of children's books written in rhyme. Enjoy these twelve Poodle puppies' antics and escapades as they grow and well...become out of control. Published: May 2013 Language: English Format: Video Game (SWF) with 6 playable le..